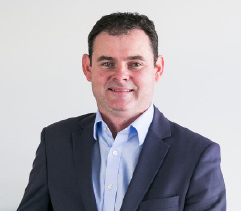 With 5 years experience in the Canberra real estate industry, and a broad understanding of the market, Nicholas guides the team in achieving the best sales outcome for both sellers and buyers who choose to work with Francis Properties. He was a finalist in the 2017 REIACT awards for Corporate Support Person of the Year. Coupled with well over 15 years experience in public relations and administration, Nicholas has the capability to put together a marketing package that best suits the sale of a property. As the first point of contact, he looks to develop close relationships with clients and presenting the Agency as a team that offers 'a point of difference' in tailoring a sales process that will get a successful outcome. His role is pivotal in monitoring and interpreting the constant changes in the market.Offering sound corporate support, he also looks to offer clients the most accurate advice, a personal touch and impart on the client a sense of understanding of their individual circumstances. He works diligently from the point of listing a property right through to a successful settlement.